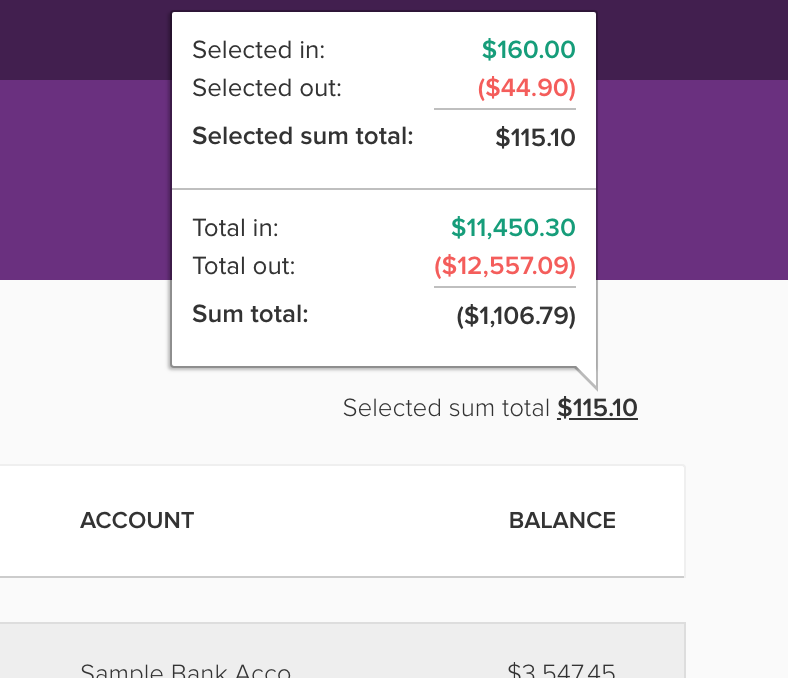 We've saved you a trip to the calculator by making the total numbers on the top right of the transactions table smarter! It now shows the sum value of transactions you've selected. Click on the value to see the sum, total in, and total out of all transactions.